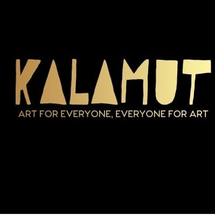 Kalamut Art studio is a creation of two self-taught Artist Vaaruni and Divya. The art studio believes that Art is a blend of Creativity and Perception .The art studio offers programs that are developed under the theme of Art & Perception. The art studio offers classes in Pencil shading, Pastels/Water colour/ Acrylic Painting, Art forms like Warli Art, Madhubani Art, and Kerala Murals. The course is structured to teach students about using a canvas, drawing and composition, tones and values, color mixtures, and painting techniques such as blending, textures, highlights, and shadows.